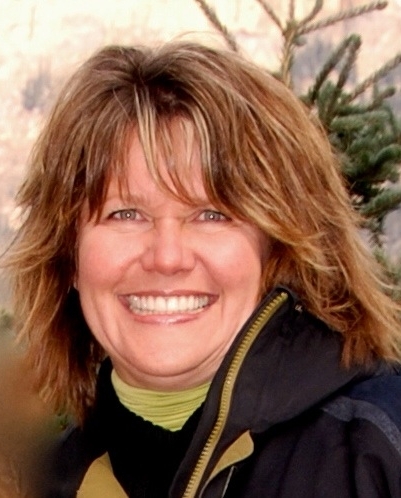 Are you in Calgary and seeking marriage counselling or couples counselling services? Do you want to feel more connected to each other? Are you seeking ways to resolve conflicts more effectively? Do you want to heal from a recent or past infidelity and rebuilt trust? At Cobb & Associates Inc. we can help. 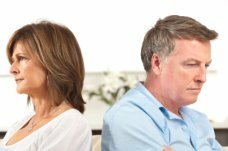 We are specialists in the area of couples counselling and, collectively, have over thirty-eight years of experience helping couples become more connected, closer and better able to handle disagreements, anger and conflict. On this page you'll find further information about the marriage counselling services we provide and answers to some of your questions. Please feel free to use the contact information at the bottom of this page to reach us with further questions or to book an appointment. The first session is an assessment visit where we explore each person's perspective and how you've tried to address your concerns. We review your relationship history and family background. A lot of couples enjoy the process of reviewing how they met, their initial attractions and other positive memories. We identify your goals and what each of you would like to accomplish and how you'll know when marriage counselling has been successful. Finally, we take a closer look at your respective communication styles and clarify your strengths and work areas in terms of we-ness, support, trust, intimacy, time together, affection and mutual respect in the relationship. The purpose of this assessment phase is to gather information, look for general patterns and themes, and clarify goals and plans that will help you build a stable and satisfying relationship. The assessment phase typically extends into more than just the first session, but couples can expect to begin the work of repairing and rebuilding their relationship starting with their first visit. There are two main goals of the middle phase: a) strengthening or restoring connections, and b) changing conflict patterns. I believe that the main goal of marriage counselling is to help couples re-connect with each other in a meaningful way. As a result of focusing too much on annoying differences, or of creating too much negativity in the relationship, or of neglecting each other's important needs, couples can grow further and further apart and become less connected in love and friendship. A central concept I use in the early stages of marriage counselling is that of an emotional bank account. Imagine for a moment that your heart—the seat of your deepest sentiments and emotions—is like an "emotional bank," Further, lets say that your partner has "opened an account" in your "bank." Of course, you have opened a similar account in your partner's emotional bank. Your emotional bank represents the extent to which you feel loved, connected and secure in the relationship. Feeling loved, cherished and respected is a central need in marriage. It helps us feel whole, happy, and secure. It makes us want to be our best. It buffers against illness, stress, and hardship and allows us to work through disappointments, upsets, and conflict more effectively. Regularly meeting your spouse's needs for love, security, and belonging is like consistently making deposits into your "account" in your spouse's emotional bank. The higher the "balance" in your spouse's emotional bank, the more he or she will associate you with good feelings. The higher the balance in your emotional bank, the more you will associate your spouse with good feelings. On the other hand, when you do or say something that is unpleasant for your partner, or that ignores your partner's emotional needs, it's like making a withdrawal from your partner's emotional bank. Some withdrawals may be necessary from time to time, like needing to talk about something that bothers you. Some withdrawals are harmful and costly, however. Like any account, when there are more withdrawals than deposits your "balance" will soon approach zero. When this happens the relationship becomes a source of pain instead of love. Everything about the relationship seems negative when your emotional bank is devoid of "funds". Couples typically find themselves getting angry and critical more quickly when they feel disconnected and overdrawn. They take things personally more easily, things that were not meant as personal, or even things that were meant as positive. They become withdrawn and unforgiving. They hoard resentment. I often ask couples in the early stages of marriage counselling to temporarily set aside some of the hot issues they fight about. I suggest that we deal with them more fully in later sessions and that we focus first on changing the emotional climate in the relationship. This involves learning about each other's emotional needs and making daily "emotional deposits" for each other in "love currencies" that you both recognize. Click here to learn more about this approach from an excellent article by Dr. Willard Harley on restoring love and resolving conflict. As the emotional climate in the relationship begins to improve, it becomes easier to work through difficult issues. 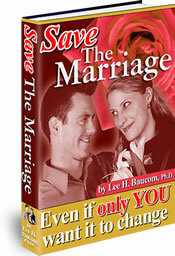 I like the analogy Dr. Lee Baucom uses in his e-book, Save the Marriage. He compares communication skills in a relationship to the plumbing in a house. Everyone who lives in the home benefits from a well-plumbed house. But good plumbing is just a delivery system. If the water supply itself is tainted or toxic, you can't change the quality of the water by changing how it's delivered. Instead, you need to locate and treat the source. While the first goal is about actively nurturing and restoring love, the second is about identifying and changing behaviors that erode love. This means identifying and altering destructive conflict patterns and learning how to handle conflict constructively. When couples already have a strong reservoir of goodwill, we often move to this stage fairly quickly. It's important for both spouses to see how they each contribute to "the problem" in an interconnected way. This means exploring and uncovering the negative patterns that spouses co-create together and understanding how each person's perceptions and reactions perpetuate these patterns. Typically, vicious cycles take on a life of their own until each person begins to take responsibility for their part in breaking the pattern and creating a virtuous cycle instead. Sometimes the solution is learning to accept each other. Even in happy marriages, there are some issues that come up repeatedly over a couple's lifespan. Such issues are generally unsolvable—meaning they keep coming back in some form or another—because they are grounded in each other's personality and life experiences. Acceptance, focusing on strengths and positives, and taking ownership of perceptions and personal vulnerabilities are the antidotes to these unsolvable issues. Other issues are solvable through negotiation, listening, understanding and creative problem solving. An issue that is solvable for one couple might not be solvable for another. To create connections in conflict and to prevent conflict from causing lasting damage to the relationship, it is important for spouses who are harsh or critical to learn to soften their communication and for withdrawn spouses to engage more openly, directly and less defensively. This is typically done by bringing underlying soft emotions, important needs and life dreams surrounding the difficult issues to the surface. Often, this style of communication is very different from how couples normally talk to each other about what bothers them. This softened approach helps spouses see each other in a new light. It promotes positive communication patterns and a better understanding of how to meet each other's important needs. In the later stages of marriage counselling we focus on solidifying and exploring positive changes in the areas of we-ness, trust, support, time together, intimacy, warmth and respect. The more couples focus on their positive changes, solutions, and strengths, the more real and lasting those changes become. This is also a time for trouble-shooting any difficulties that arise and for reviewing plans for preventing relapse. Change is not always a steady progression. I suggest spacing out the marriage counselling sessions when both spouses feel they have made significant progress <i>and</i> maintained positive changes over time. Instead of meeting weekly, we meet every few weeks, and then perhaps every few months, until you have successfully accomplished your goals as a couple. Much of my work with couples is informed by Emotionally Focused Therapy (EFT) and John Gottman's research on what predicts stable marriages. Both of these approaches have strong research support for their usefulness. Emotionally Focused Therapy helps couples create a climate of emotional safety by expressing their underlying needs and emotions in a way that invites compassionate dialogue about solutions. Changing the negative patterns that partners co-create together and creating positive interaction patterns that invite new feelings of closeness and attachment is an important part of this work. handling conflicts and disagreements in a manner that maintains positive feelings for each other. Gottman's research shows that it is not the presence or absence of conflict that makes a difference. Rather, its how couples deal with their conflict. Do Both Partners Need to Attend Marriage Counselling? Ideally, yes. Since you and your partner form a connected system, each of you plays a part in how your relationship works. There are always two-sides to a story. Attending marriage counselling together allows for the "big picture" to include both perspectives. It also helps you work more efficiently together to resolve your concerns. What if My Partner does not Want to Attend Marriage Counselling with Me? First, do your best to understand the reasons for your partner's reluctance. You can better address the real reasons if you know what they are. For example, is it scepticism about whether a counsellor can really help? Is it a belief that counselling is just another forum to complain and blame each other? Is it wanting things to stay the same more than wanting things to change? Don't be too quick to assume that your spouse has given his or her final word on the subject. Reluctance is often not the same as refusal. If you make it known that you are serious about the need for marriage counselling, many spouses will agree to attend. Suggest that your spouse be the one to choose a therapist, someone that he or she feels most comfortable with. Suggest going to one interview together to get to know the therapist and assess whether there is a good fit. Agree to keep looking if your spouse does not feel comfortable with that person. Suggest telephone counselling as a possible option. Telephone sessions are convenient, happen from the comfort of your own home, and can be as effective as face-to-face counselling. For those who are unmotivated to talk face-to-face or who live in remote areas, telephone sessions may be a better fit. Suggest that you and your spouse work through a self-help book or listen to an audio CD together on strengthening marriage. There are also work-at-home courses available on the internet that may be an acceptable alternative to face-to-face marriage counselling. Some excellent examples of home-study programs include Save the Marriage with Dr. Lee Baucom and Marriage Fitness with Mort Fertel. Ask your spouse if he or she would be willing to reconsider marriage counselling if you are unable to resolve your issues on your own over the next few months. Express your belief that resolving issues early on, before they are allowed to fester, is easier than reversing long-entrenched problems. In the end, if your spouse still refuses to attend marriage counselling or to try any other relationship building tools with you, consider going to counselling on your own. As I said before, a marriage is a system. In any system, all of the parts work together in a connected way. When one part of a system changes (i.e. you) the whole system changes and adapts to find a new balance. If you are making positive changes in how you relate to your spouse, this can be very encouraging to your partner. He or she may want to learn more about what you are doing and may even want to begin attending the sessions with you. I have seen reluctant spouses become more curious and willing to see therapy as helpful when the other spouse stops the pattern of blame, fingerpointing or distancing and focuses instead on making personal changes for the better. What are the Potential Benefits of Marriage Counselling? Where Can I Get More Information about Marriage Counselling?